All you need to do is hold a cup and smile. Being an integral part of worship with this community does not need to be complex or scary. 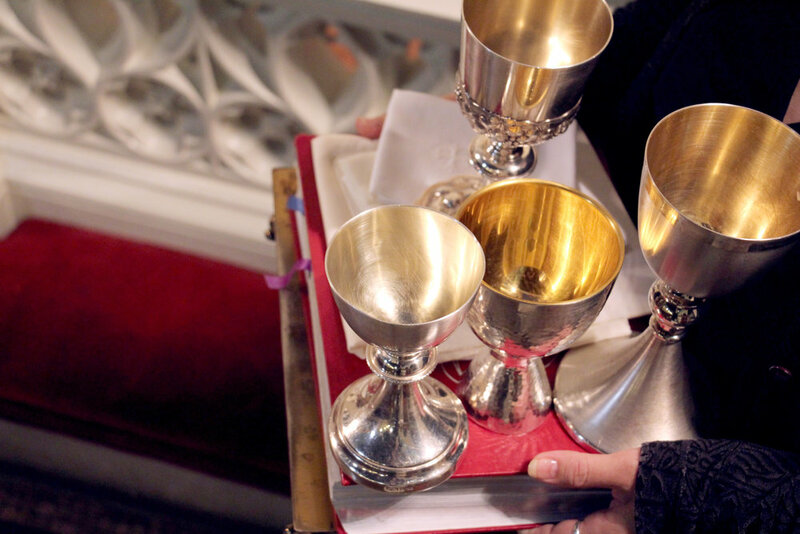 As a Chalice Bearer, you get to share the gift of Communion with adult and children, all kinds of people. The gifts are God's and they are for everyone. All you have to do is hold the cup. When you're a Chalice Bearer, your job is to hold the cup of wine or grape juice during Communion, and offer it to whoever approaches. People come up in a line -- it's all very orderly. Here's where it gets trickiest. Some people will dip their bread into the cup, so you just lower it a bit. Some will want to drink from the cup, so you raise it up to them, keeping a hand underneath. As you do, you say, "The blood of Christ, shed for you." We understand this simple practice of Communion to be the "means of grace," a tangible way we encounter God's unconditional love and forgiveness through Christ. Pretty awesome, huh? To sign up to be a chalice bearer, just click through the button below. One of our ministry leaders will reach out to help get your started. There is an ongoing monthly schedule, and a roster of alternates. It is understood that the monthly commitment is not always possible and alternatives are easily available. Barbara is a long-time member of Advent, and avid member of our Adventurous Adventonians. Shannon is a member of Advent, a parent of two daughters, and actively involved in many areas of our ministry.